Going to a music concert from time to time can be great and usually the buzzing in your ears is gone by the next morning. But what about if you played at a concert, or were backstage managing the set? A 400,000 watt rock concert or similar can reach incredibly high decibel levels. No wonder everyone on or behind the stage wears ear protection! At NMN Soundproofing we’ve come up with our top pick of some of the loudest bands and music concerts to date. Legend has it that the band’s 1972 concert at London’s 3,000 seat Rainbow Theatre rendered fans unconscious due to the sheer pressure and intensity of the volume in such an enclosed space. The 117 dB of the performance may not seem a patch on some of these other bands but it’s quite some feat to have such an impact on your fans, and to be named ‘the globe’s loudest band’ in the 1975 Guinness Book of World Records. Impressive! Perhaps heralded as the first band to thrive on loud performances, The Who grew famous partly due to their high volumes, peaking at 126 dB. The band’s cooing ‘Who Are You’ single would gather mass sing-alongs and delight from fans. Incidentally, Pete Townsend, the band’s guitarist, now suffers from hearing problems and tinnitus, believed to be the result of playing such loud music. 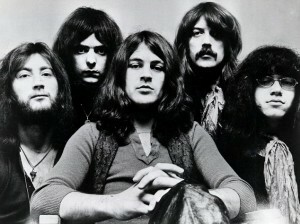 Throughout their early career, this English band was known for pushing the boundaries and is now seen as one of the progenitors of heavy metal. 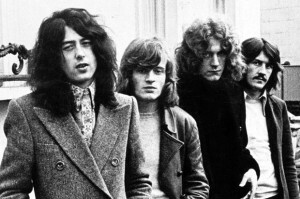 Their live performances of ‘Heartbreaker’ and ‘Whole Lotta Love’ were known to measure 130 dB back in 1969 and 1970 respectively. Their 2007 reunion saw them bring back the old enthusiasm and fierce noise they were known for. Hell bent on becoming the world’s loudest band in the 1980s, their Back in Black tour saw them clocking up a series of concerts at 130 dB. Complaints from promoters made them quieten down a bit, but only a bit. 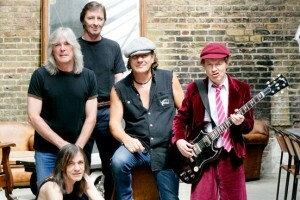 Their concerts are still among the loudest at the moment with the band keeping their title as heavy metal pioneers. At their gig in 2009 in Ottawa, Canada, the band got into a bit of trouble. 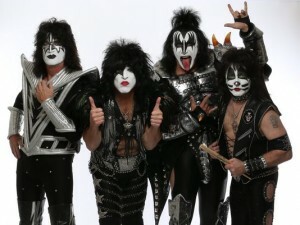 Having had a reputation for being one of the loudest rock bands, with elaborate live performances since they formed in 1973, KISS trumped all records. After reaching136 dB they were forced to turn down the volume by police due to complaints from neighbours living around the sports arena. That’s one way of making yourself known! Don’t let noise get in the way of your everyday life or become an issue. At NMN Soundproofing we specialise in stopping your privacy from being invaded. Our quality soundproofing for floors and walls can give you that bit of much needed peace and quiet, whether in domestic environments or the office space. Contact us today for a quote. This entry was posted on Thursday, October 30th, 2014 at 3:49 pm	and is filed under Noise. You can follow any responses to this entry through the RSS 2.0 feed. Responses are currently closed, but you can trackback from your own site.